Church Mutual, which insures ROCOR’s Eastern American Diocese, is currently accepting applications for religious scholarships. 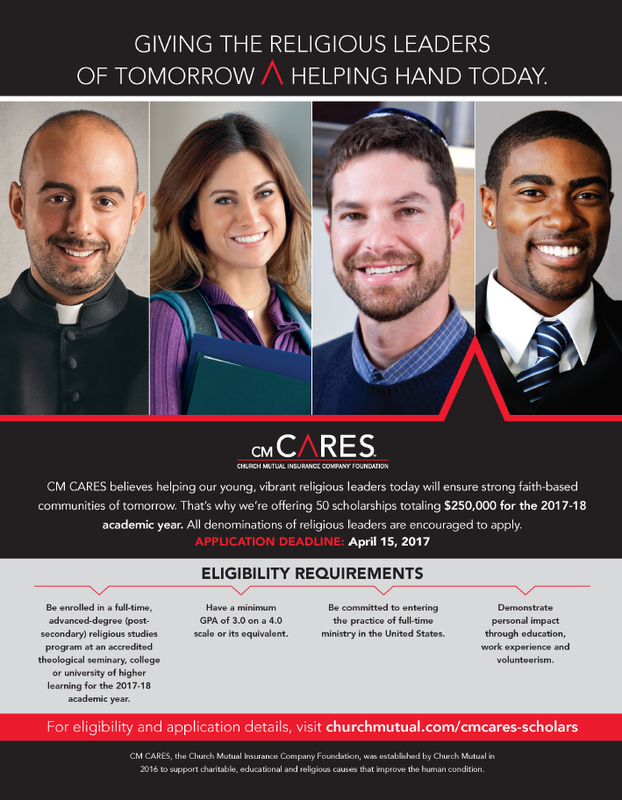 Church Mutual’s “Religious Scholars Program” is offering 50 scholarships of $5,000 each for a total of $250,000 for the 2017-18 academic year. The scholarship is for religious scholars to use toward the completion of their academic year. - Demonstrate personal impact throughout education, work experiences, and volunteerism. - Have a minimum grade point average (GPA) of 3.0 on a 4.0 scale or its equivalent. - Be committed to entering the practice of full-time ministry in the United States following completion of studies, including leading a denominational congregation, or worship group, or serving in religious leadership at a house of worship. Students serving in their final year of an internship program are also eligible to apply. Applications will be accepted until April 15, 2017. The 50 scholarship recipients will be announced in May 2017. Those interested can find eligibility and application details here.